For the part few days of my Los Angeles trip I stayed at The Line Hotel in Koreatown. I’ll have a full review of my stay ready for you soon, but today I wanted to share with you the ultimate Summer drink, my take on the Watermelon Gin and Juice that the pool staff were serving up in big plastic cups while us guests lazed around on sun loungers around the terrace pool in the glorious Southern Californian sunshine. While I’m usually one for sitting having my drinks on the patio within easy distance of my kitchen full of fancy glasses, cocktail shakers and drinks measures, and our family bar table which acts as a home for all our different types of gin (other, lesser bottles must be kept in the cupboard.) 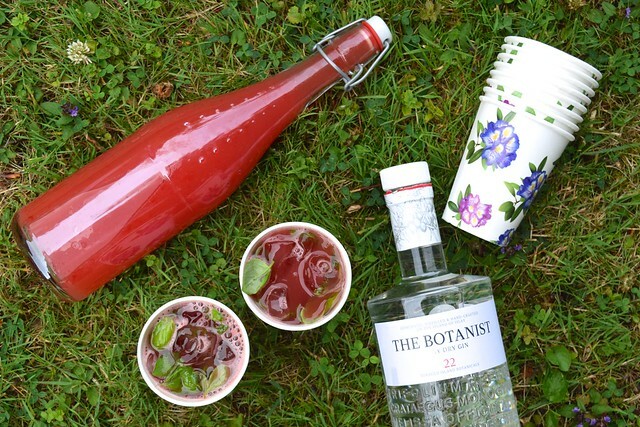 However, in the spirit of lazy Summer drinking, I wanted to put something together that could easily be packed away to have a cocktail on a picnic; you can make the watermelon juice ahead and bottle it up to be stored in the fridge (a French lime spritzer we used to buy came in these bottles, but you can get them from Kilner for a very reasonable price here), and take the rest of the fixings with you for the picnic, or just for an after work drink out in the park or on the beach if you’re lucky enough to have a nice open space near your office. A few tips for packing this cocktail away to go: don’t mix your gin into your watermelon ahead of time. This may seem like a good idea, but keeping them separate means you won’t be leaving the designated drivers out! 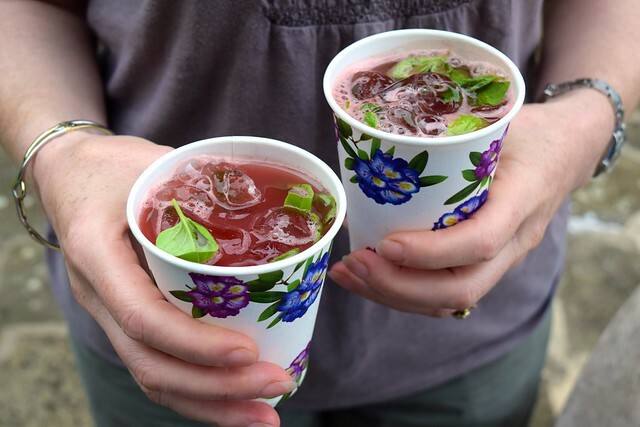 Keep your pack of basil leaves sealed until it is time to make the drinks; this helps the basil not wilt, and no one liked wilted leaves in their cocktail. If you keep the watermelon juice chilled and travel with it in an insulated cooler, you don’t necessarily need ice, but if you have a cool box ice can travel in, all the better. Finally, buy pretty paper cups. These floral cups I’ve been using this Summer were sent to me buy the guys at Just Catering Supplies, and you can find them here. I also like these cups they have printed with tulips, or if you’re looking to embrace your inner eight year old, they also have them printed with monsters! 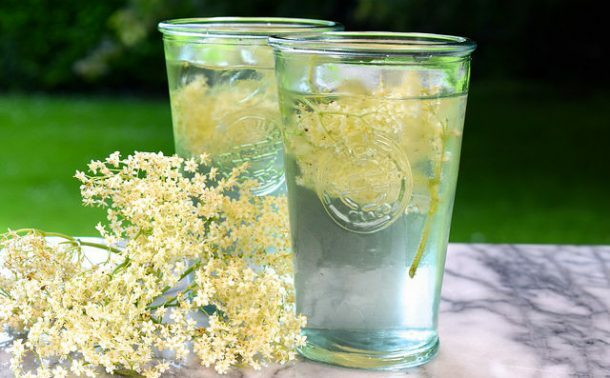 As I said, gin is our cocktail base of choice in this family, so we do actually pay attention to which gins we put in which drinks, thinking about the various botanicals that might pair well with any other ingredients. When I was thinking about which gin to pair with watermelon and basil, I was not too sure that the Hendricks we’ve been drinking recently was quite going to cut it. In the end, I settled on two options, depending on personal preference. If you like a clean, pure taste I’d go for one of my all time favourite gins, Martin Millers. 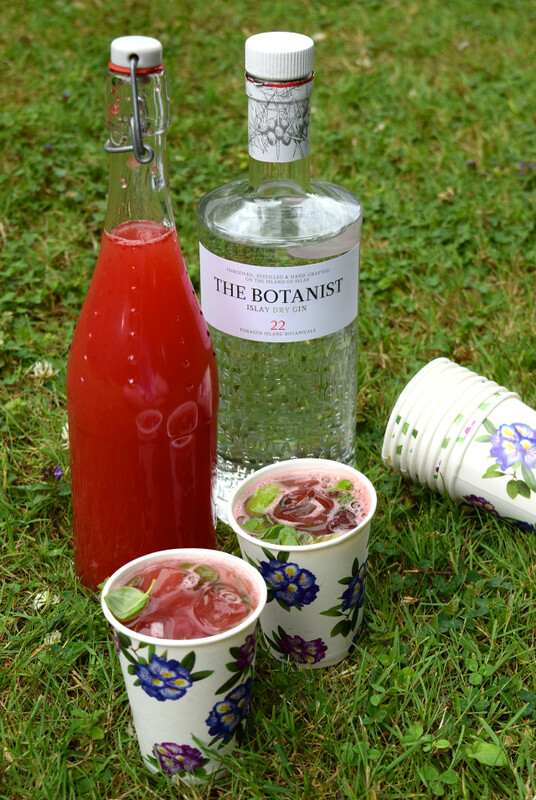 However, if you like to taste all of the herbs and botanicals in your gin, the most recent addition to our bar table, The Botanist (a gin made on the Scottish island of Islay from 22 different foraged island botanicals) really enhances the herbal notes added by the fresh basil, and compliments the watermelon perfectly. The girls over at World Duty Free popped me over this special, duty free super sized litre bottle the other week as part of their Fabulous Summer Drinks campaign where you can try before you buy so many different Summer drinks flying away on your holidays from UK airports, and have them delivered for you when you land. 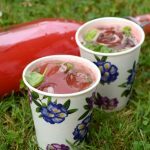 Something to check out if you’re heading off somewhere sunny over the next few weeks, so you have the bottle waiting for you to recreate your holiday cocktails in some snazzy cups when you get back. This recipe makes one litre bottle (roughly, as watermelons vary in size) of watermelon juice, which depending on the size of your cups and if you are using ice (and if you like to glug a little more gin in there than the 1 and a half tablespoons) should make at least 5-6 cocktails. 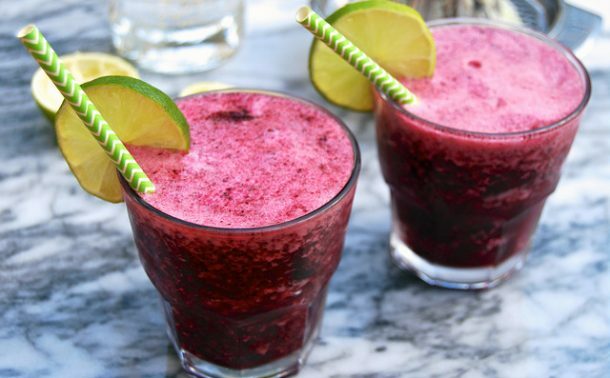 Inspired by the gin and juice I was sipping by the pool in Los Angeles, this is the perfect make-ahead summer cocktail. To make the watermelon juice, peel the watermelon and puree it until smooth in a food processor, blender or smoothie maker. Suspend a fine sieve over a large jug, and let the blended watermelon drain through to remove the grainy bits of flesh. You can stir it a little with a spoon to help it along its way, but be careful not to press the pulp through. 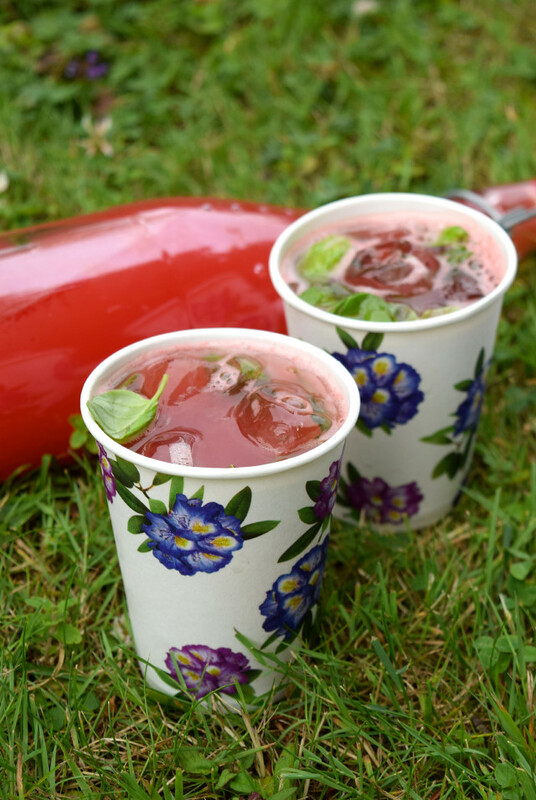 To mix the drinks, add 3-5 basil leaves to each cup with a good handful of ice and 1 and a half tablespoons of gin (pack a half tablespoon and add three of them to each cup) and top up with watermelon juice. The watermelon juice will keep in the fridge for up to 48 hours after blending. 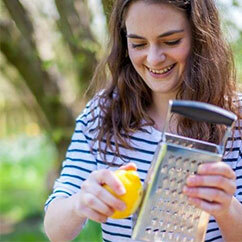 This is a sponsored post in association with Just Catering Supplies. 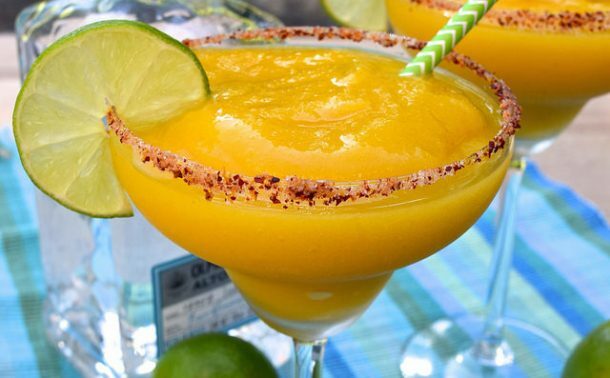 World Duty Free provided the spirits for this recipe. To read my policy on sponsored posts, please click here.